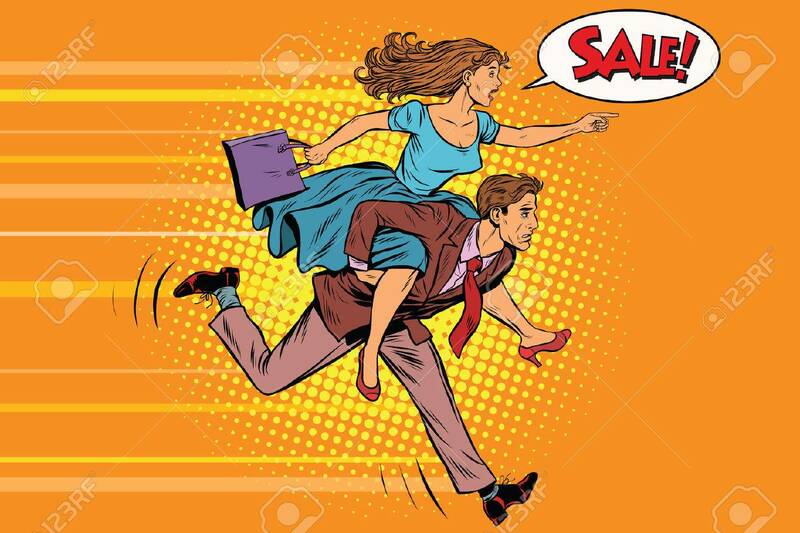 Wife Riding Husband Runs On Sale. Vintage Pop Art Retro Vector... Royalty Free Cliparts, Vectors, And Stock Illustration. Image 71601482.